A full day deep-dive into Technical SEO with Alice Roussel, Technical SEO and Customer Success Manager at OnCrawl. Most Digital Marketers underestimate the benefit that technical SEO can bring to their site and clients. 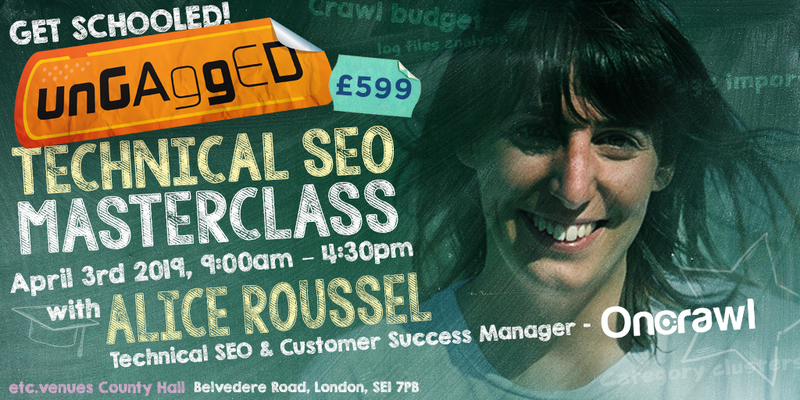 In this Masterclass, Alice Roussel will focus on Technical SEO & Log Analysis and will show how you can successfully add it to your SEO tool kit. Understand the meaning of: crawl budget, indexing, log files. This deeply engaging and practical masterclass allows a small group of eager learners to get hands-on with the material, gain in-depth knowledge on the best tactics and explore tested strategies to generate more sales.